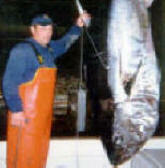 Bluefin Tuna Tackle is just that. Tackle and accessories geared towards the pursuit of all saltwater big game species. We have all the usual striped bass, bluefin tuna, yellowfin tuna, blue marlin, white marlin, sailfish, king mackeral, wahoo and dolphin lures. When you are looking to put any saltwater species in the boat we have the tackle you need. Bluefin Tackle is run by a New England charter boat Captain who thrives on the hunt for bluefin, billfish and stripers. 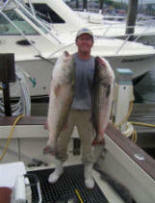 Our tackle has been fished from Florida to Maine in search of all Big Game species. "If I don't fish it I don't sell it"
For more info call Capt. Jack at 401-640-0865. If we don't have it on the site, we can get it for you at a discount. If you are looking for a little advice, or have a question, don't hesitate to contact us. We will respond promptly.